Foley Retail Consulting congratulates the management team of OnConst for acquiring the valuable Gulfmart business. The newly merged group will be a significant in the Kuwait retail industry. 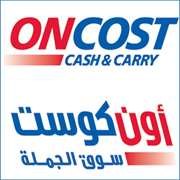 Kuwait-based wholesale membership retailer OnCost Cash and Carry has reportedly completed the acquisition of supermarket chain Gulfmart. Established in 1999, Gulfmart currently operates 16 stores, including in Shuwaikh, three in Salmiya, two each in Fahaheel, Abbassiya, Hawally, and Farwaniya, and one each in Khaitan, Jahra, Salwa, and Abu Halifa. Gulfmart offers a range of products including groceries, toiletries and consumable goods to customers. It has also launched a new growth strategy to expand its presence by opening 25 large-format supermarkets.